We spend money in an attempt to gain happiness. Big vacations, dream homes, and happy kids make us happy. Then why do personal finance experts advise us to save money in order to feel happy? We can just spend money and buy happiness to remain happy always, can’t we? I know you will start counting the benefits of investing and making money grow. You will tell me that the same money can bring more happiness tomorrow (compared to today) if I let it grow and earn interest. I love saving money! But I love having fun too. As I stated before, turning hobbies into a job might take the charm out of the hobby activity. Likewise, saving money day in and day out without having some occasional fun can take the charm out of saving money as well. It is one thing to spend on impulse or spend out of negligence; it is another thing to indulge in occasional rewards at times, during your money-saving journey. When you are not really broke and not in debt, it is really difficult to stay on a frugal course unless you reward yourself and your family members. Otherwise there might be disputes and unhappiness within the family. Are you having enough fun saving money? You might want to check against the list I prepared. Don’t count every cent Don’t always be after every penny. At times it becomes too much of a hassle. As a good manager of your household finances, you are taking on a lot of pressure. Don’t let that be your shackle! Believe me, you will feel like you have one at times. It’s ‘ok’ to let loose sometimes. Accept additional money spent on items every now and then; don’t blame others or yourself. Budget for fun. As I did with the movie viewing pact, make a provision for spending on fun items. No matter how hard you convince your kids that the newest video game is just a waste of money, they will not understand. Make allowances for a few video games in your budget, to give another example. Budget for your sin. I budget for my sunglasses every month (I have collection of sunglasses and watches) and a watch every quarter. I see this as a self reward for doing well at work and at home. My wife has a few unique pricey habits as well – hope she won’t ever read this article (she usually does read though). Without rewards there is not enough meaning to keep going. Involve family members. Play games with your kids to show them how to use money wisely. Money Matters is a game by Larry Burkett that does just that. Another way is to help them earn money while saving you money at the same time by encouraging them to find coupons. To do this, give them a percentage of how much money you save when you use the coupons they cut at the grocery store. They organize your coupons (helping you save) and earn extra allowance too! Reward the detective. Uncover the sleuth in your family. If you look at money saved as hidden treasure, you will find the process exciting! There’s always a new way to save money, you just need to encourage your family to find it. Give a percentage of the savings to the individual who finds it. Are you saving with fun or with deprivation? What other fun activities are you and your family involved in, readers? I think of looking through fliers and clipping coupons as a game. I actually enjoy it, but I didn’t always. It used to seem like a complete waste of time, but I gave myself an attitude adjustment. We’re saving money, and I’m enjoying myself at the same time! I save with fun in mind, but practice debt reduction. Most of my savings goes into debt reduction (though that’s not the case recently) Much of my savings has been towards the future as well as a trip I’m taking soon. I do occasionally have some fun like a dinner out, but I keep trying to save as much as possible. My life is going to change a lot soon! Yup, I am aware that you are going to get married soon. Seeing your debt reducing is a lot of fun in itself. But do prepare to pamper your would be with some fun activities and little gifts..I am sure you’ll do it any way. I agree with the point that you need to budget in the fun stuff. Just like you need to schedule time with your loved ones. Sounds funny but you need to make sure you plan and follow thru. I cna’t agree more Paul! Thanks for your comment. Saving saving and saving gets boring especially when you are not in debt and saving well for retirement. After all we earn money to enjoy its worth, right? My wife and I each get to hide away a little “fun money” that we can use for whatever we want without consulting with each other. It makes it a little easier to save the rest of our money. wow, wonderful! way to have fun. So what you basically do with that ‘secret’ money? This is actually a very good technique for persons with a little male ego, like me. I hope you got the point. 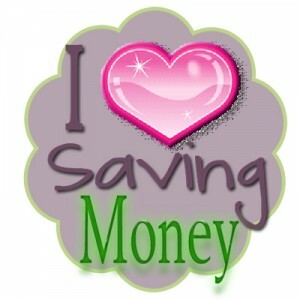 I must confess that I have such a “saver” mentality that I have a hard time spending it! Usually it just piles up for a long time and then I pull it out for something major, like a trip. It kind of defeats the purpose of being able to do whatever I want with it just for me, but it is fun anyway. Savings is a way of life for me. I make it a priority and live on what is left. I don’t deny myself that much. It helps I do not have debt except for a small mortgage. It provides choices. KC I am interested to know about your journey so far. I guess you started blogging a bit late in your life. How the experience have been. I am sure blogging your thoughts made you more financially stronger as well. Look forward to read some post on this matter on your blog. some personal finance bloggers, believe me, know how to live life. We do everything since childhood for reward. We cry to get few things, toys ice cream etc. When we are adult we definitely much more controlled, but still that kid within us needs fun and entertainment and sometimes material pleasure..
I’m still working on trying to find that balance! appreciation with a lot of stuff thanks. Saving money helps us to use it in the times where are require more money to buy something or while we are in problem. When i was child i didnot know how to save money. but now a days it is just opposite to that scene. I am very much happy after looking your post because it is highly informative. this is great idea to save the money for future work .it is a good habit for every person. 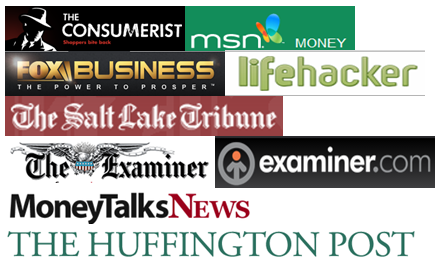 I Pinned your web page at My Bookmark History, It is Truly awesome article thank you so much. i like your article to save money you share great with us. nowadays people don’t know the meaning of how to save money.